Funko is also release a Batman vs Joker Throwdown Board Game that will feature collectible vinyl figures. Read on for more details and images. 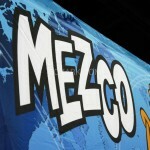 Mezco Earthworm Jim, Horror Toys, South Park and Living Dead Dolls at San Diego Comic-Con 2012. 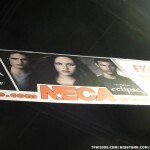 We have over 50 photos from NECA’s impressive booth from San Diego Comic-Con 2010. Their booth had a fantastic mix of licenses. They showed off their new and upcoming figures from Predators, Gears of War 3, Bioshock 2, Assassin’s Creed 2, Iron Maiden Eddie, The Exorcist, Friday the 13th and more.